The all new Masport 470 gives you two major features in one lawnmower – When you need to mow fast and without the fuss of emptying the catcher, simply insert the mulch plug and the grass is cut fine and pushed back into the lawn. If you want a clean cut lawn simply remove the plug and fit the high capacity catcher. 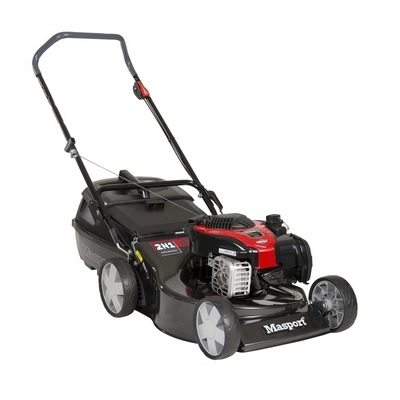 The Masport 470 2’n1 features the brand new E Series overhead valve Briggs & Stratton engine.